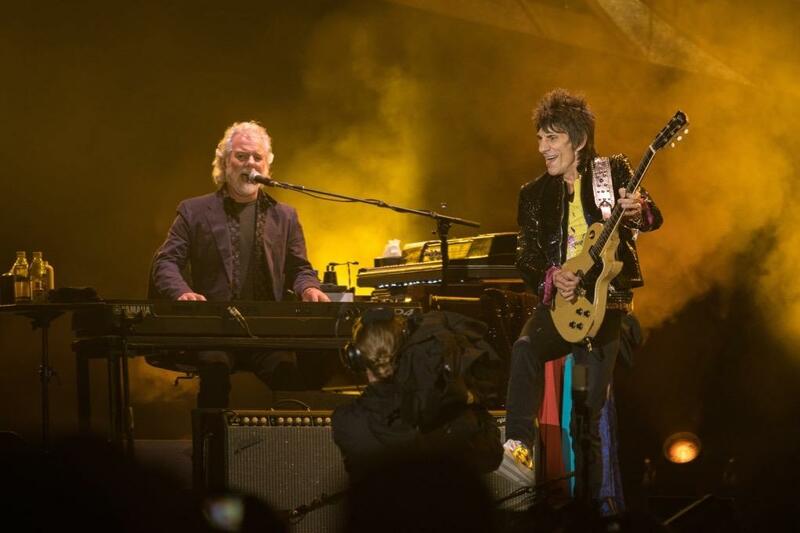 SouthBound: Chuck Leavell On Playing Piano With The Allmans, The Stones. Plus: Trees! You might not know the name Chuck Leavell. But if you know much about rock 'n' roll at all, you've heard his work. In the '70s, he played piano with the Allman Brothers — his solo on the instrumental "Jessica" is widely considered the greatest rock piano solo ever recorded. In 1982, he started playing keyboards for the Rolling Stones. Now, he is also the Stones' musical director. Along the way he has played on records and onstage with everyone from George Harrison and Eric Clapton, to John Mayer and the Indigo Girls. Beyond his music career, he has built a second life as an environmentalist and the owner of a tree farm at his home in Georgia. Let's keep the conversation going. Send a tweet to @tommytomlinson or @wfae, and use the hashtag #WFAESouthBound. You can also email me at ttomlinson@wfae.org. The studio version of "Jessica"
Soloing on the Stones' "Honky Tonk Women"
SouthBound is a production of WFAE. Our host is Tommy Tomlinson. Our producer is Nick de la Canal. Our audience engagement producer is Joni Deutsch, and our main theme comes from Josh Turner. Vivian Howard is one of the most unlikely TV stars in recent memory. She came back home to Kinston, North Carolina, after burning out in the restaurant world of New York. Frye Gaillard has been writing about the South for going on 50 years. In SouthBound's home base of Charlotte, he was a legendary feature writer for the Charlotte Observer. But he’s best known for his books, which range from a study of school integration to a biography of Jimmy Carter. The first time most of us saw Brooklyn Decker, she wasn’t wearing many clothes. She first appeared in the Sports Illustrated swimsuit issue in 2006, when she was just 19. Four years later, she was on the cover. But not long after that, she gave up modeling for an acting career.